Description: Demonstration on morning of Vernon Dahmer's funeral, January 15, 1966, Hattiesburg (Miss.). Marchers fill intersection of Batson and Market streets due to halt of march following arrest of participant. 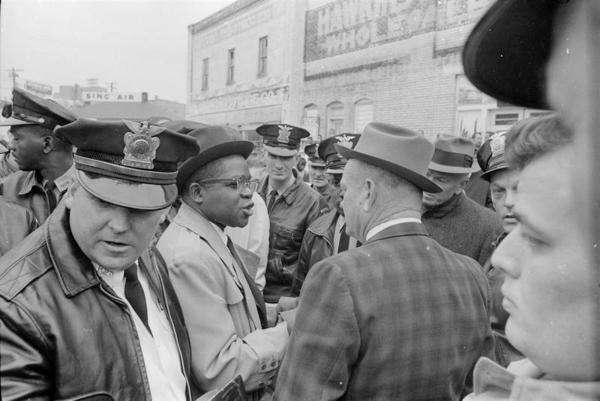 J. C. Fairley, Forrest County NAACP president (black male in glasses), negotiates with Hattiesburg Police Chief Hugh Herring (white male in hat).